Samantha and her partner Rafael are homicide cops. Once they were ordered to investigate the case of the cops lying at convent. This corpse was a message for one of the woman inside the convent, Daniela, or Cristál. Her old nemesis, Donatien, a Kyn gone bad centuries ago, wants her for her powers to heal. He loves torturing people, and she can make them last longer. For years she has run from him, but always he finds her. Will Scarlet, right-hand man to Darkyn leader Robin of Locksley, has been charged with an impossible task: He must regain control of his lord's stronghold, which has been invaded by vicious Darkyn renegades, without harming any captives or attracting the attention of the Brethren, the Kyn's mortal enemies. 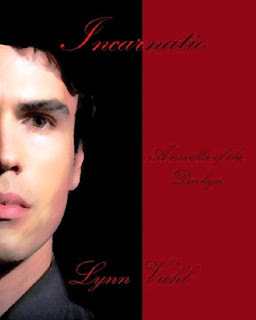 Things only get worse when Will learns that Reese Carmichael, the mortal woman he loves, is one of the hostages. Reese was sent by her father, a former Brethren inquisitor, to infiltrate Rosethorn, retrieve an ancient vial containing the cause of a medieval plague, and prevent Armageddon from being accidentally unleashed upon the mortal world. Seducing and falling in love with Will Scarlet was never part of the plan, but Reese has no choice other than to use him and the siege of Rosethorn to complete her mission. If she does, she knows he will never forgive her-but if she doesn't, millions of innocent lives will be lost. As Kyn allies Jayr, Byrne, and Lucan arrive to provide Will with reinforcements, Reese's true identity and motives are revealed. Torn between love and loyalty, Will and Reese uncover one last secret from the past that may help them win the final battle...if it doesn't destroy them first. 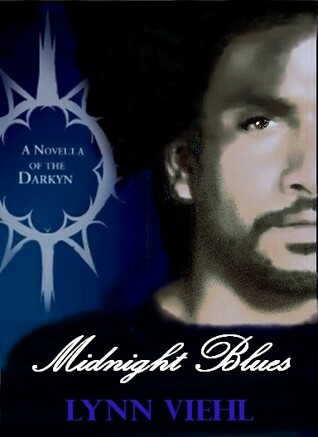 A Darkyn novella. Jamys comes to visit Florida. It was so great to read these short stories! This world is just fantastic, and having these short stories allows us to see more of it, of characters whose stories aren't necessarily full length novels, but still have something to say! So as it turns out, I didn't quite read this series in order. Opps. But that meant that I read a whole bunch of these short stories back to back, so it was kinda like reading one full length book, so there was that! Midnight Blues, it was great to go back to Florida, and learn about Rafael and Daniela, they were really great characters! 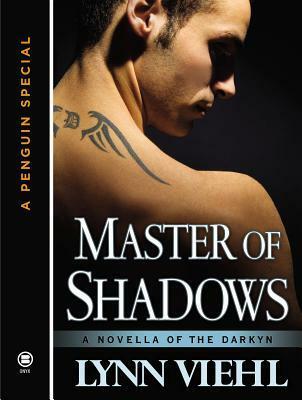 Master of Shadows tells the story of Will and Reese, taking place around the same time as Robin's story. So that was really great! And then Incarnatio, comes back basically full circle with Jamys, and it's not really a romance, but an adventure! Loved it, and how things worked out, that was really great! And that he could talk at the end, that was just fantastic! I enjoyed reading these stories so much, and I can't wait to read the spin off series! Reason Why: Really enjoying this series, and they're Prequel & Sequel Challenge 2017 Books, and Incarnatio is a End of Series 2017 Book!